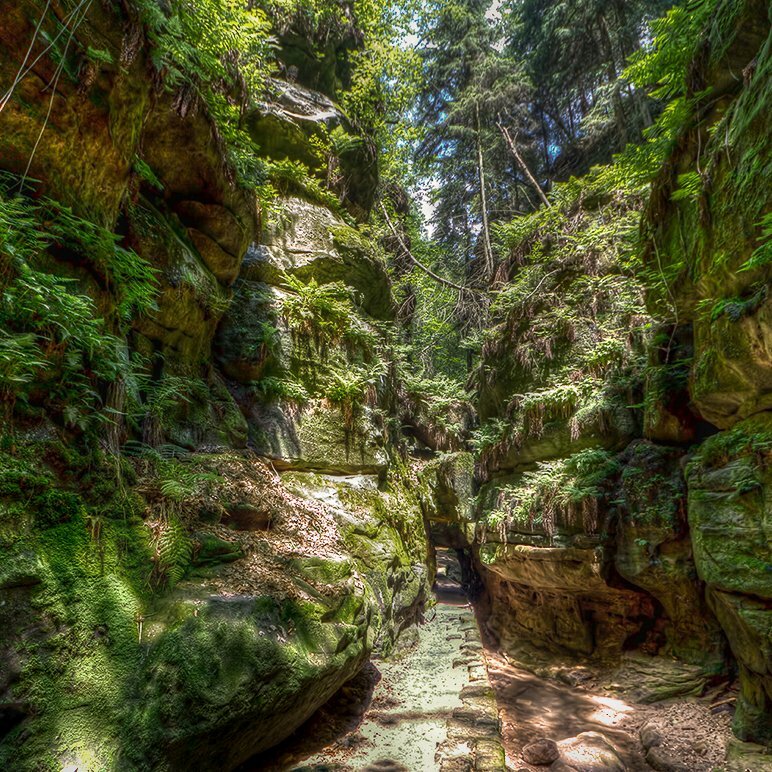 he gorge near Uttenwalde lush with ferns and moss-covered canyon, which is bordered on two sides by steep walls and caves. 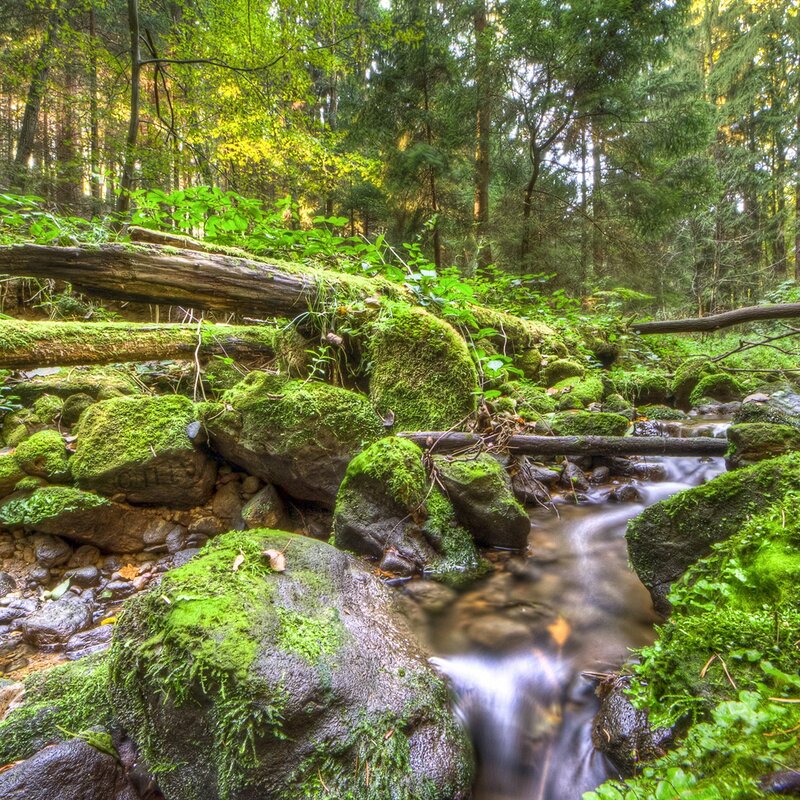 Some blocks are crashed at a narrow stone bridge that Uttewalde. In hot summer, the reason enjoy a cool air. 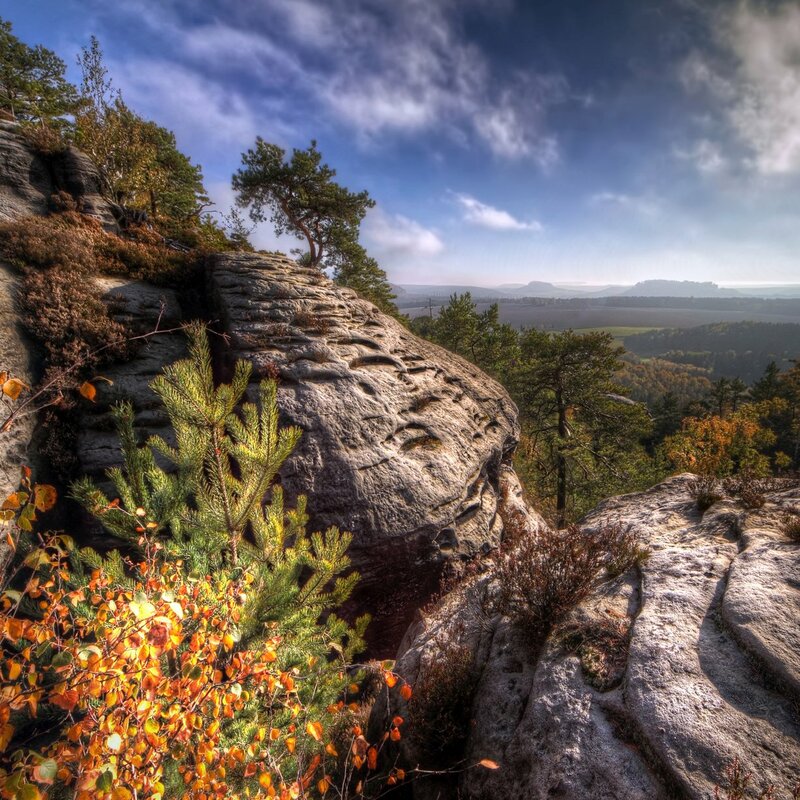 This beautiful place is situated in Saxon Switzerland. Canon EOS 60D (8mm, f/8, 1/320 sec, ISO100) freehand shot HDR with 3 exposures (-2, 0, +2 EV) processing in Photomatix and PS.